NEW BUFFALO, MI--(Marketwired - Apr 14, 2015) - The Pokagon Band of Potawatomi Indians' Four Winds® Casinos are pleased to announce that Frank Sinatra Jr. will bring his one-of-a-kind multi-media experience, "Sinatra Sings Sinatra, As I Remember It - The Centennial Celebration," to Four Winds New Buffalo's® Silver Creek Event Center on Friday, June 12, at 9 p.m. Eastern. Tickets for the concert can be purchased beginning on Friday, April 17 at 10 a.m. Eastern exclusively through the Ticketmaster® Web site, www.ticketmaster.com, or by calling (800)745-3000. Ticket prices start at $50 plus applicable fees. In stories, photos, videos and songs, Frank Sinatra Jr. delivers first-hand recollections of life on and off stage with his iconic father. This show explains it all with excerpts from his films, family photos, and insights into the world's greatest entertainer that can only come from his son. Above all, the evening is about the music of Frank Sinatra. Featured songs include "Come Fly With Me," "New York, New York," "Strangers in the Night," and of course, "My Way." 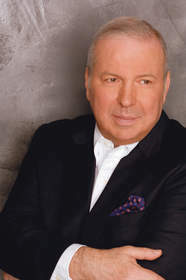 Frank Sinatra Jr. will be backed by a wonderful 20 piece orchestra featuring many members who played with Sinatra Sr. The 100th Birthday Celebration is a once in a lifetime experience. Frank Sinatra Jr. was born in New Jersey, raised in California, and educated in the showrooms of Las Vegas and on bandstands all over the world. Frank Jr. has performed in major clubs and showrooms throughout the United States, Canada, Japan, Brazil and England. He has appeared on stage with such showbiz greats as George Burns, Phil Harris, and Flip Wilson, as well as guest starring on popular television shows including "Laugh In" and "The Golddiggers." His notable albums include "Spice," "His Way," and "It's All Right." Throughout the 1960s and into the early 1990s, Frank Jr. appeared regularly in Las Vegas, opening for many stars in the main rooms and headlining in his own right in the lounges. In 1988, Frank Jr. joined the staff of his father, Frank Sinatra, as musical director and conductor. He helped to choose the music and rehearsed and conducted the orchestra whenever Ol' Blue Eyes was on stage. Frank Sinatra Jr. has found himself catapulted into a position he never sought but must have surely contemplated. The songs of his father need to be sung and Frank Jr. has inherited that honor. In concerts, Frank Sinatra Jr. pays homage to his father, by singing the songs that define the Sinatra legend. Four Winds New Buffalo's Silver Creek Event Center is a 1,500 seat, multi-use facility that is located next to the casino floor. In addition to hosting concerts, the 17,000 sq. ft. event center can be reconfigured to host a variety of meetings, special events, conferences, and banquets. Details on concerts at Silver Creek Event Center are available at www.fourwindscasino.com/events. To make a hotel reservation at Four Winds New Buffalo or for more information on Four Winds New Buffalo, Four Winds Hartford®, or Four Winds Dowagiac®, please call 1 (866)-4WINDS1, (866)494-6371 or visit www.fourwindscasino.com. Additionally, be sure to like Four Winds on Facebook at www.facebook.com/fourwindscasino and follow on Twitter at www.twitter.com/fourwindscasino for information on the latest offers and promotions. The Pokagon Band of Potawatomi Indians Four Winds Casinos are pleased to announce that Frank Sinatra Jr. will bring his one-of-a-kind multi-media experience, "Sinatra Sings Sinatra, As I Remember It - The Centennial Celebration," to Four Winds New Buffalo's Silver Creek Event Center on Friday, June 12, at 9 p.m. Eastern.